Before the sun rose above the distant mountains, the soft peach of the horizon met the dusky blue of night. Stars were still visible, and the white of the moon looked like frosted window glass. From previous experience, I knew better than to try to capture it in a photo. There is no painter's skill or Instagram filter that shares the quality of light when it comes over you. A dragonfly clung to a stalk of grass, and spider webs hung heavy with dew. The ground alternated between packed mud, tall grass and tidewater slough. Cheyenne, a 9-year-old chocolate Lab, ran ahead of us with the swamp-loving thrill of an animal that enjoys a damp world and a rotting smell in the air. 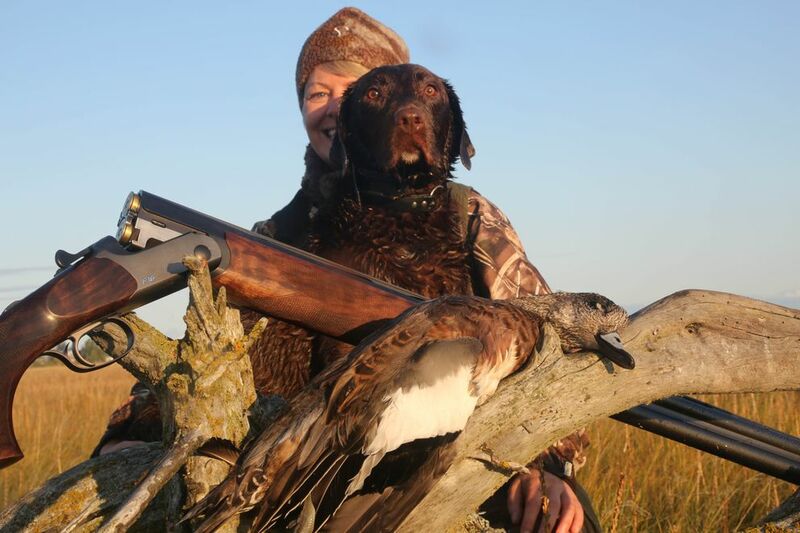 It had been a year since she had been duck hunting, and her joy was contagious. People have said there is no such thing as warm rain or summer nights in Alaska. The days are long and generous with enough time on the weekends to take micro-adventures and still return for a days' worth of evening around the campfire. It takes an Alaska-length day to feel the contented fatigue that comes from "feeling like you did something" and crack open a beer and reflect in the evening sun. Still, when it comes to breaking free of time as told by a clock, the powerful strobe of summer light doesn't compare to fall hunting days. A friend told me it took him a week of being away from home and work before he fell into his natural rhythms. He spent this time at a homestead as often as he could. You felt it was the place he was the most himself. At his homestead, he found himself sitting outside and listening to the woods come alive during the witching hours and taking naps during the day. He ate when he was hungry instead of at breakfast, lunch and dinner. When he took a break, it wasn't to escape a task but to enjoy the sun or the view or some random curiosity such as an ermine stealing from the shed or a visiting gray jay. My friend showed an intimate side when he talked about his time on the homestead. He sat taller in his chair, and his hands, which usually imitated pressing keys and buttons, were animated instead by the swing of an ax or hammer — his work at the homestead. It made me smile to think of him on the bank of the river watching king salmon rise instead of answering a phone. There is something in all of us connected to the natural world, and it holds a piece of ourselves we desperately need despite our more routine dependence on the confining measures of clocks and finances. It's why the first sight of the duck blind — or the place it once was — is an annual vision of recovery. There are some places you can find in the dark, and the journey to them is nothing like the automated drive to the office Monday morning. "How long do you think it takes?" I asked Steve a few seasons ago as we sat in our camp chairs looking out over the slough in front of the duck shack. Our two Labs sat ahead of us, enjoying the same view in silence. The wind lifted their ears, and smells came to them like the news. In just a few hours, we had watched algae grow and color the mud green on the far bank as the tide went out. I wanted to know how many days it took him before the noise of civilization wore off. I had never had the luxury of spending months in isolation. My best guess is three days. "I don't know," Steve said. "It's probably more a matter of when you have to go back." We pondered that as we watched the dogs lift their noses into the breeze. They didn't know when we would go back or if we would. We were all between two worlds — wild and domestic. Less has been said about the difference between summer light and fall light than about the stark contrast between winter and summer in Alaska. The 24-hour summer day and the drive to spend every moment outdoors makes me anxious in traffic and the grocery line. The dark of winter has another kind of scarcity. But fall is generous. The bird dogs have purpose and time enough. I feel full instead of starved or bursting. Fall hunting camp also provides an intrinsic connection. You time yourself to a different beat, and it is not just a craving for game meat or sport, if those words or the thought catalogs that come with them even come close to describing it. Attempting to describe in words a world free of words is as difficult as trying to capture first or last light in a single photo. Those rare moments — evoked by the sight of a coyote crossing a highway or the sound of a raven riding the thermals above the subdivision — are reminders that we are in the natural world every moment. It's the discordant clicks of the clock and swipes of the credit card that are the oddities that separate us. For now, the weather is at its best, and sleep is difficult. Somehow, even the dogs have learned there is such a thing as hunting season — not by the regulation books but by the way we go about our business. We wake up earlier, we pack more gear, we carry a shotgun. But I've lived with the dogs long enough to know they catch on before the gun is in sight, before we grab boots or waders. The day we took her duck hunting, Cheyenne appeared in my doorway before I was out of bed. She stood until I noticed her, and when I did, her tail wagged. I know her well enough to know she doesn't wake up until there is something to wake up for. "What time are we leaving in the morning?" I always ask Steve the night before. "Early," he always says, and it makes me smile when he does not refer to time by the hour. Still, I pause before setting my alarm clock and wonder what time early really is. I still have a lot to learn. 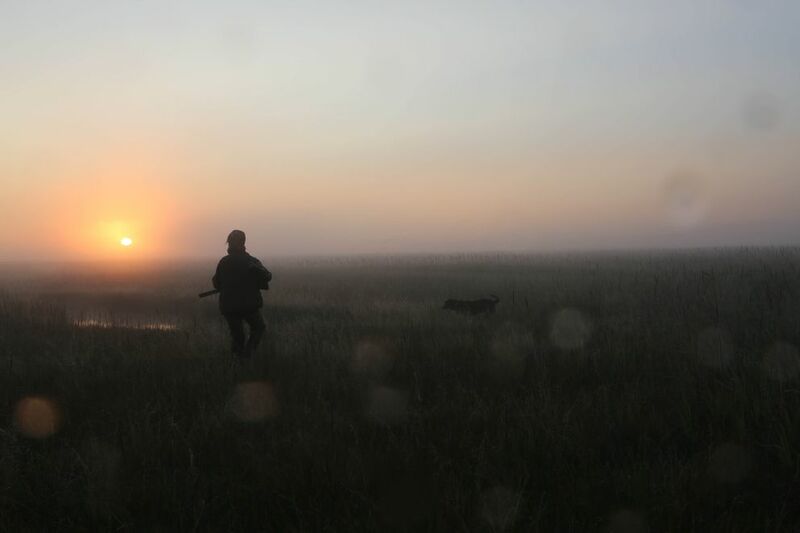 Christine Cunningham of Kenai is a lifelong Alaskan and avid hunter. Contact her at cunningham@ yogaforduckhunters.com.